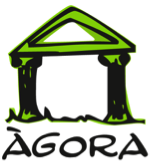 The European Association for the Education of Adults (EAEA) is the voice of non-formal adult education in Europe. EAEA is a European NGO with 123 member organisations in 42 countries and represents more than 60 million learners Europe-wide. EAEA is a European NGO whose purpose is to link and represent European organisations directly involved in adult learning. Originally known as the European Bureau of Adult Education, EAEAwas founded in 1953 by representatives from a number of European countries. EAEA promotes adult learning and access to and participation in non-formal adult education for all, particularly for groups currently under-represented. With almost 20 years of experience, the Danube University Krems is one of the pioneering and unique institutions in Europe in the field of university-based further and postgraduate education, and a specialized institution in the sector of lifelong learning. It is a public university of continuing education specifically focused on the needs of working professionals. The University offers Master’s courses and short academic programs in five areas of study. Currently it serves about 8,000 students from 91 countries and has more than 16,000 graduates. 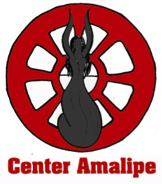 Amalipe Center for Interethnic Dialogue and Tolerance (BULGARIA) Amalipe Center for Interethnic Dialogue and Tolerance is a leading Roma organization, working for the equal integration of Roma in Bulgarian Society. Amalipe believes in the equal integration of the Roma people in society by focusing on the preservation of the Roma identity and on the modernization of the Roma communities. Federation of C ultural and Adult Education Associations (FACEPA (SPAIN) FACEPA is a non-profit organization created in 1996 gathering cultural, educational and adult learning associations. Its main aim is to work collectively towards a democratic educational and cultural model, in which the voices of people with no academic qualifications and who, because of this, have been excluded from public debate are taken into account.